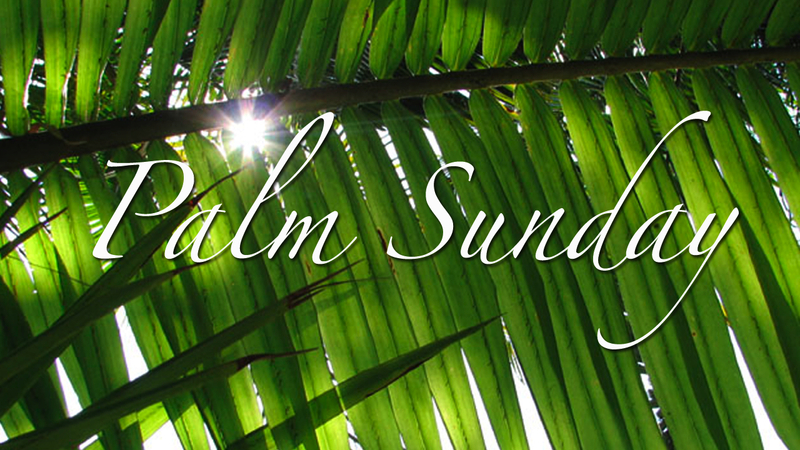 Sunday’s worship begins with a palm procession, commemorating Jesus’ triumphal entry into Jerusalem. Quickly the tone of the service changes as we hear of Jesus march to the cross. His story, like ours, seems destined to end in pain, but we await the real conclusion on Easter morning. Pilate thinks he is mocking Jesus when he writes, “King of the Jews” at the top of Jesus’ cross. Little does he know the man he is crucifying is, in fact, king of all! How have you fallen into a role within your household or work environment? Who are treated as royalty in our world? What have they done to earn the title? What does it take for them to fall from grace? How can we shift our loyalties so we praise and emulate Jesus more than our celebrities? PRAY: King eternal, you are the ruler of our hearts. Show us through your humble example what it truly means to lead, by giving all of yourself for the sake of your beloved. In your name, we pray, Amen. BLESS: May God guide you to walk in the ways of the king. Amen.